ARAX 80/2.8 kit lens for medium format Kiev camera. 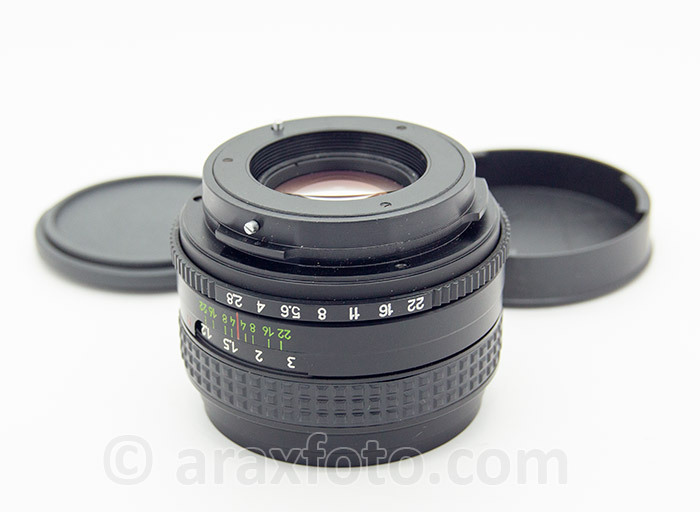 ARAX (ARSAT) 2.8/80, standard lens. This is a high quality sharp and contrasty standard lens for ARSENAL produced medium format cameras. 80mm is like 50mm on digital cameras. It is enough for most of photographic tasks. This lens is the same, both optically and mechanically, as the 2.8/80 Arsat or 2.8/80 Volna-3. Depending from years of production the focusing ring on the lens can be metal or rubber. Brand new. Comes with front and rear cap. Upgraded by ARAX. 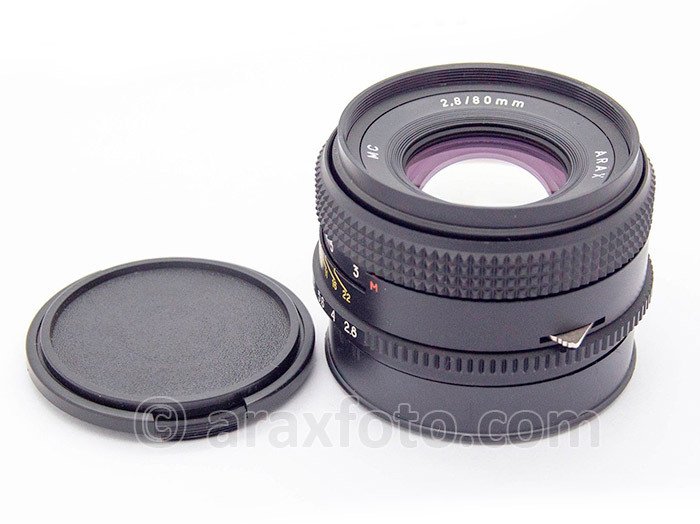 This lens included to all Arax camera kits. You can use this lens on other camera with appropriate adapter ring to use on your digital cameras. Good choice to use it with ARAX tilt or shift adapters at different digital cameras like Canon, Nikon, Sony etc. 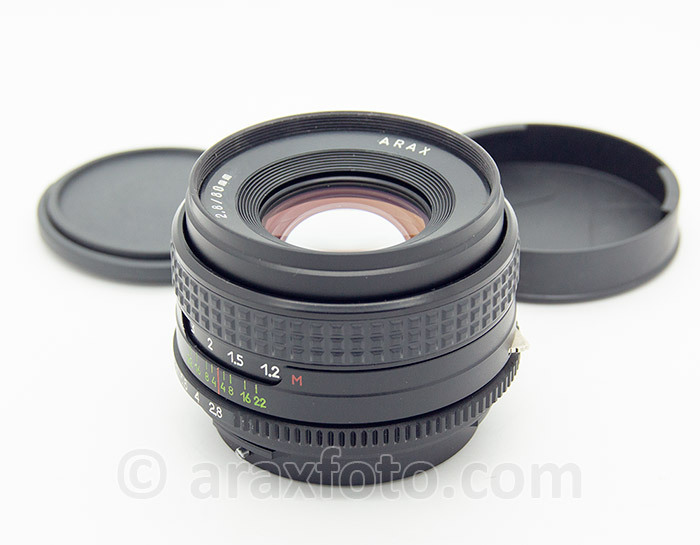 ARAX 2.8/80mm standard lens with metal focusing ring. 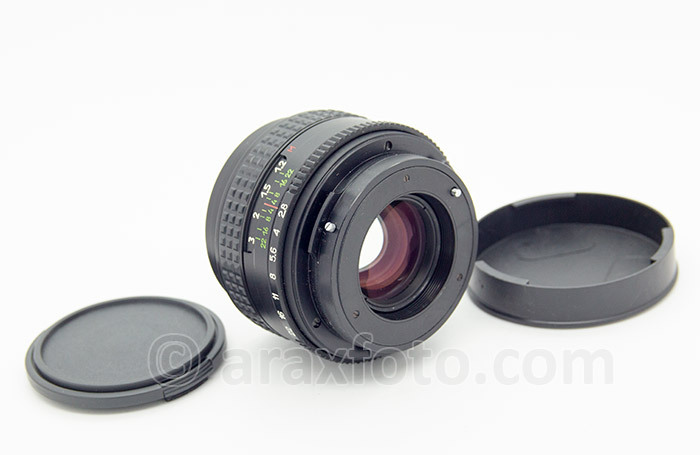 ARAX 2.8/80mm standard lens with rubber focusing ring.